This 2014 Chevrolet Cruze LT is a midsize sedan with a fuel efficient 2.4 liter 4 cylinder engine, a nicely appointed interior with black cloth seats, and plenty of outstanding features. This edition is newly detailed,super clean, very sharp, and drives very well. 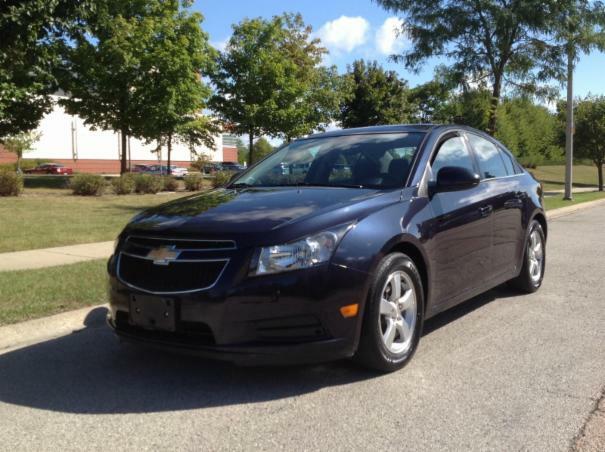 The Cruze has good looks, capable handling, and will provide a smooth, quiet ride. It has a spacious and comfortable interior. Options include a hard top, power seats, windows, mirrors, locks, alloy wheels, Firestone tires, AM-FM stereo with CD player. At Austin Auto Auction, you’ll find cheap cars in Austin in great condition with low mileage. Use our site to search for the car you’re interested in – the price, make, model, and the year. See the difference and compare our prices with other dealers and car websites. You’ll discover that Austin Auto Auction has the best priced autos in the city.